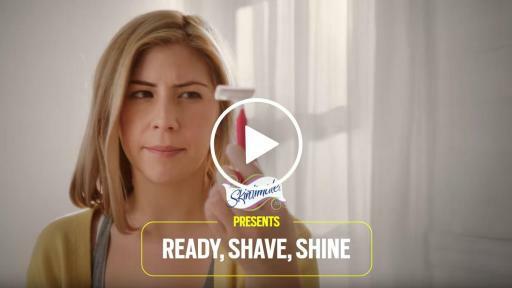 Schick® and Skintimate® encourage women to “Ready, Shave, Shine” in a new music video that celebrates the legs that women rock, starring “real life” emojis! Schick® and Skintimate® have enlisted the help of the most talked-about icons in pop culture today – emojis! – to help women rethink how they care for their legs with a simple routine: Ready, Shave, Shine! As part of the second year of the Rock Your Legs campaign, Schick® and Skintimate® created emojis – and even gave some of them legs! 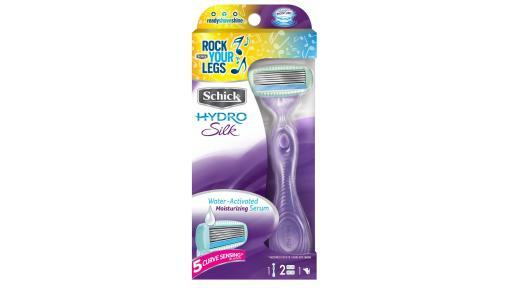 – to represent the Schick Hydro Silk®, Schick® Intuition® and Schick® Quattro for Women® Razors and Skintimate® Shave Gel brands and personified them in a new music video to celebrate the steps women take to rock their legs. 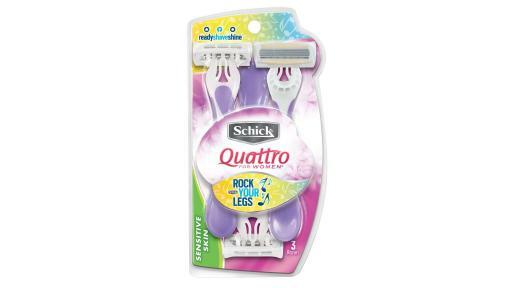 The Schick® and Skintimate® original “Rock Your Legs” music video can currently be seen at YouTube.com/RockYourLegs and makes its debut in movie theaters across the country throughout the month of May. 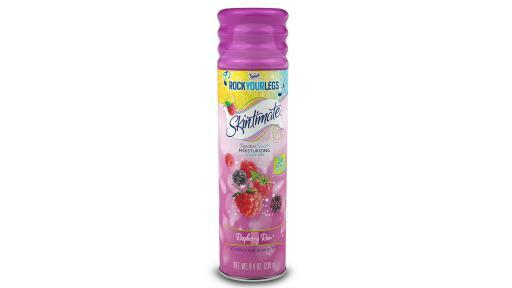 Pink Sweater – Skintimate® Shave Gel: Radiant, healthy, beautiful legs call for unshakable confidence. Our Pink Sweater Girl is always prepared to rock her legs. Red Dress – Hydro Silk® Razor: Water-activated moisturizing serum in Hydro Silk hydrates* your skin longer than any other razor leaving your skin as silky as the dress our Red Dress Girl wears to dance all night long. 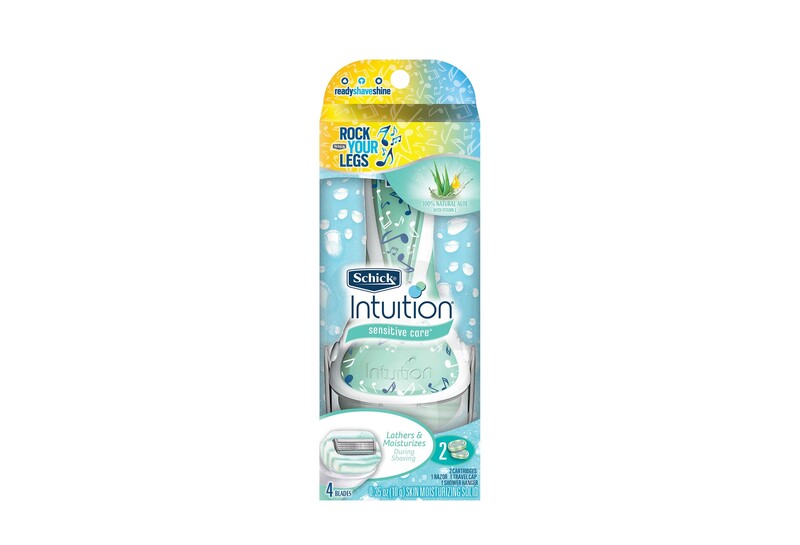 The Twins – Intuition®Razor: Effortless, simplified and caring, Schick® Intuition® with shave cream right on the razor is the simple way to get smooth, beautiful legs. So simple, our Twins have time for twice the fun. The Runner– Quattro for Women®: Liberating, active performance, Quattro for Women® disposable razors provide an incredibly close and comfortable shave so smooth that you can skip a day or two, so she’s always prepared no matter what fun the day or night throws at her. 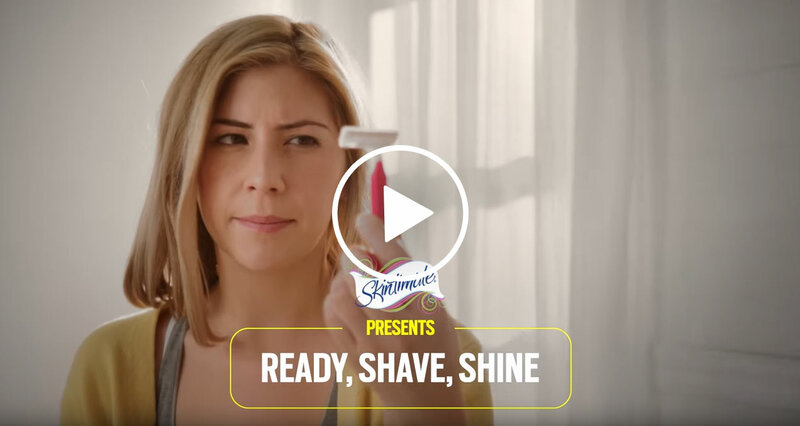 The rallying cry “Ready, Shave, Shine!” aims to encourage women to pay as close attention to their leg care routine as they do their hair or face routines. Schick® and Skintimate® offer at-home tools to help personalize a beauty routine that reflects every woman’s individual style and empowers her to feel confident and beautiful in her own skin. Shine: Show off your legs with confidence, whether you use a luxurious moisturizer after the shower or rock a killer outfit that accentuates your gorgeous gams! Skintimate® Shave Gel: Nourish and protect your legs with our gel that foams into a rich lather helping you never miss a spot. Schick Hydro Silk® Razor: Water-activated moisturizing serum* and five curve-sensing blades with skin guards to help protect skin from irritation, leaves skin feeling silky smooth. 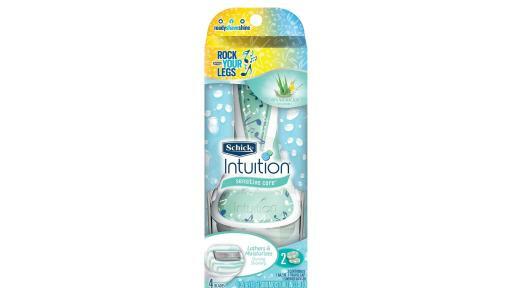 Schick® Intuition® Razor: No need for shave gel. The only razor that lathers and moisturizes during shaving in one easy step. 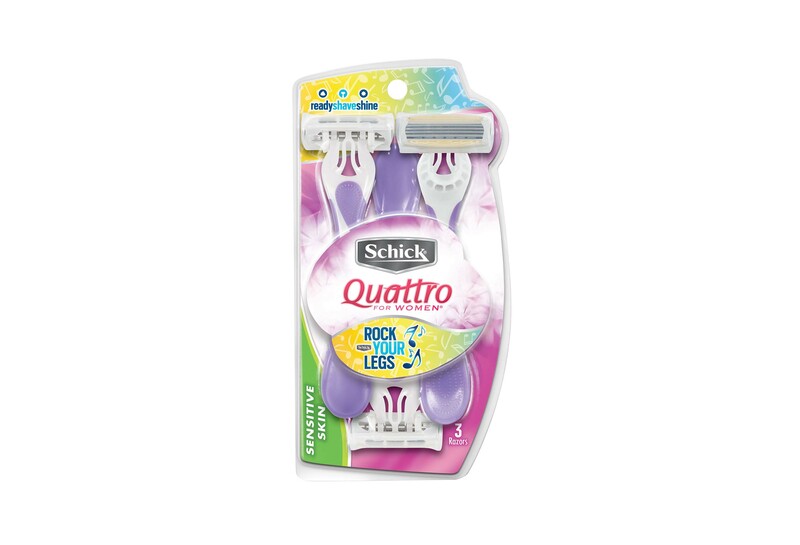 Schick® Quattro for Women® Disposable Razor: Four ultra-thin blades and a compact pivoting head delivering a shave so smooth you can skip a day or two. ‘Ready, Shave, Shine!’ at the Movies! Throughout the month of May, the Rock Your Legs emoji music video will be making its debut in movie theaters across the country. Catch the Schick® and Skintimate® emojis rocking their legs before the previews in all PG-13 and R-rated movies. 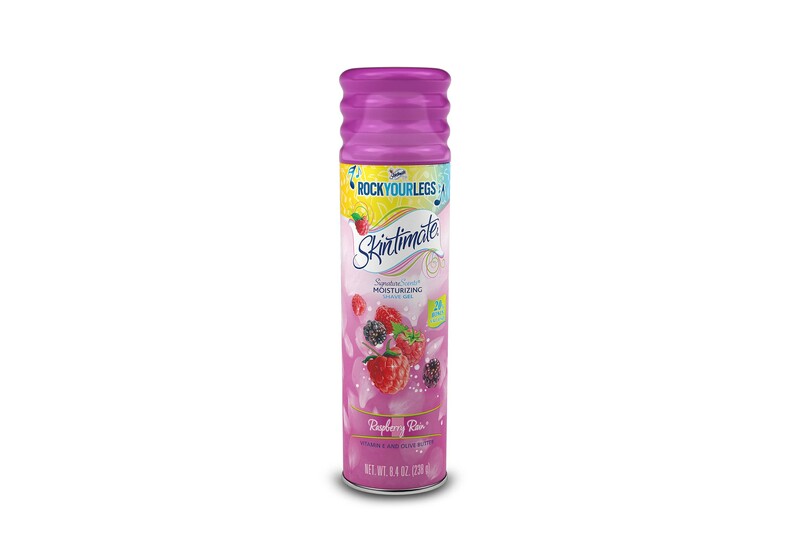 Also, be sure to look for Schick® and Skintimate® Rock Your Legs emoji displays in major grocery stores and drugstores from April 1-July 15, 2016. When you buy $10 or more worth of participating Schick® and Skintimate® women’s shave products, submit your receipt online and you’ll get a free** movie ticket. Edgewell Personal Care (NYSE: EPC) manufactures and markets a diverse range of personal care products in the wet shave, skin care, feminine care and infant care categories with well-established brand name products such as Schick® and Wilkinson Sword® men’s and women’s shaving systems and disposable razors; Edge® and Skintimate® shave preparations; Playtex®, Stayfree®, Carefree® and o.b.® feminine care products; Banana Boat® and Hawaiian Tropic® sun care products; Playtex® infant care products and gloves; Diaper Genie® and Litter Genie® disposal systems; and Wet Ones® moist wipes. ©2016 Edgewell. The Playtex® trademark is used under license. **Value up to $10. Must be US or DC Resident. In-store purchase of $10 or more between 4/1-7/15/16, excluding taxes. Enter PIN Code by 7/31/16 at 12 AM PT. Printer Required. Subject to Terms at http://rewards.tpgrewards.com/schickskintimatemovie/ (including participating Schick/Skintimate products and how to submit receipt by mail.